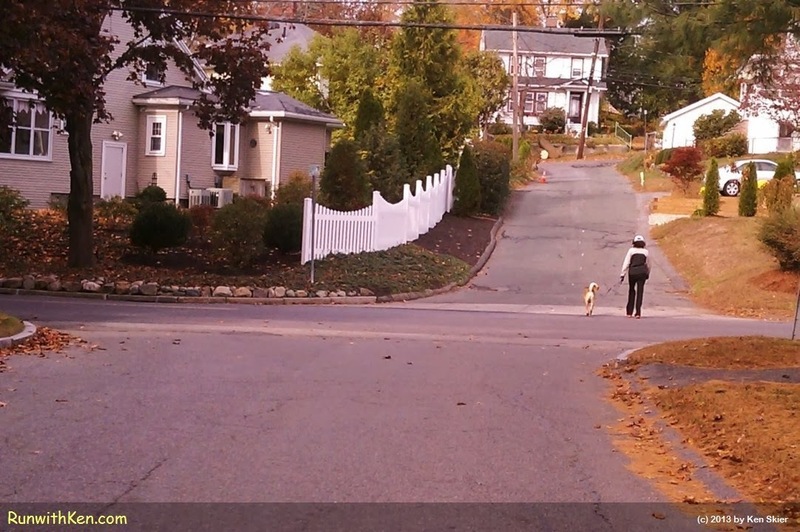 On these hilly streets, some run alone...and some walk with a best friend. Autumn Run in Lexington, MA. Some of us run alone. Some walk with a friend. Doesn't matter. We're enjoying the same brisk air, and the near-empty streets.